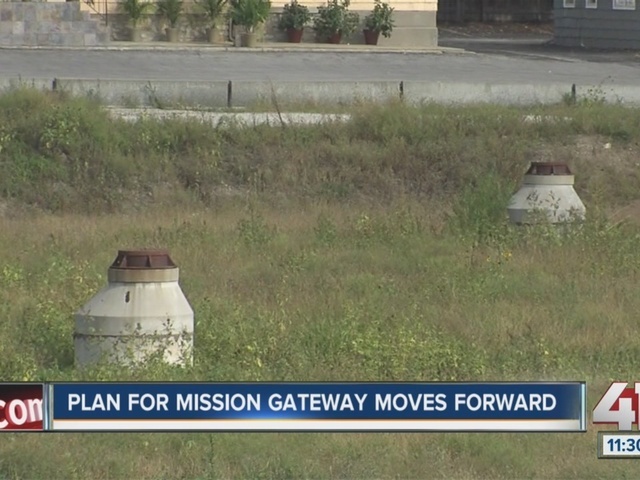 There is some progress for the Mission Gateway Project after the city’s planning commission approved a new plan for the site. Developer, Tom Valenti with the Cameron Group, his son and attorney flew from New York to present the new scaled-back plans for the project at Roeland Drive near Shawnee Mission Parkway. At the heart the project is a 155,000 square-foot Walmart Supercenter. Unlike previous plans this new one does not a second floor for retail. The above-ground parking garage is now three stories instead of four. 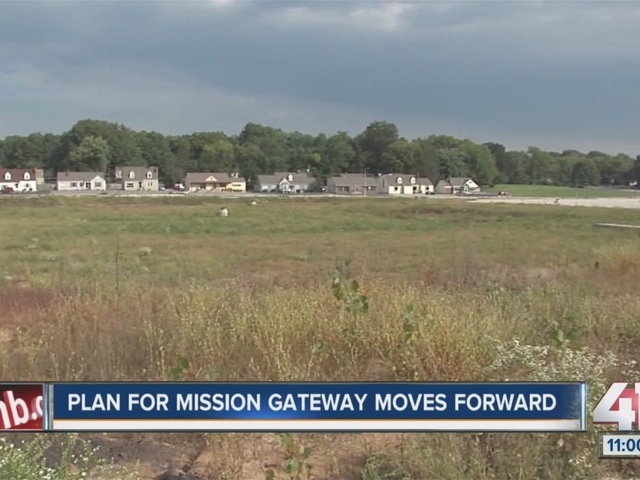 The new plan also include a hotel at Roeland Drive and Shawnee Mission Parkway. People who live and work in this area want to get rid of what they describe as an eye-sore. “I’ll believe when I see it we’ve heard this before and at this point I’m ready for anything to go across the street it doesn’t look too good over there and it hasn’t for a long time,” Jeff Driver, a Farmers Insurance agent whose business is across the street said. The city council will consider these new-scaled back plans in mid-October. The developer of the project told the planning commission that if the new plans are approved by the city, construction on massive lot could later this year. For full details on Mission's Planning Commission meeting, click here.